This is the Grammys. Set those words to the tune of Childish Gambino’s “This Is America.” The track won Song of the Year and Record of the Year last night, making it the first rap song in HISTORY to win those categories. In its 60-year history, the Grammys only now found a rap song they deemed worthy of two of their biggest honours. These are Grammys that Drake has never won. He’d won 3 previous to this year’s show, but all had been in the “Rap” categories. 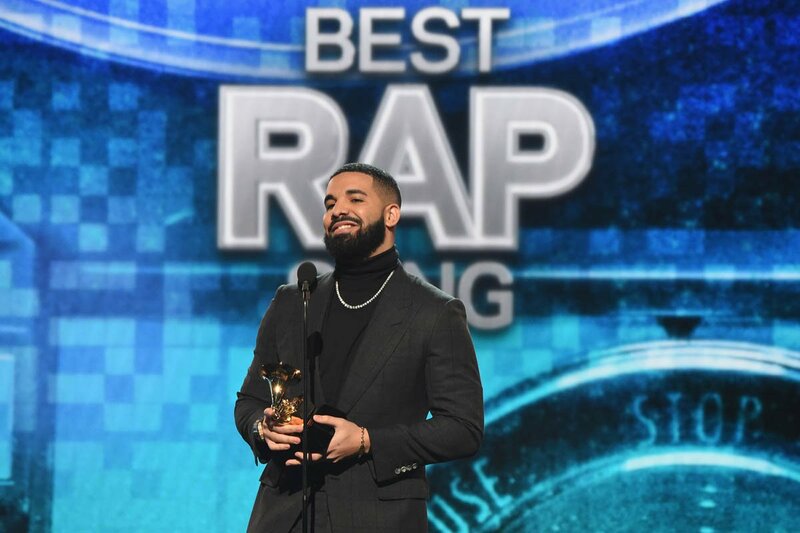 Last night, “God’s Plan” won Best Rap Song. This is the Grammys. 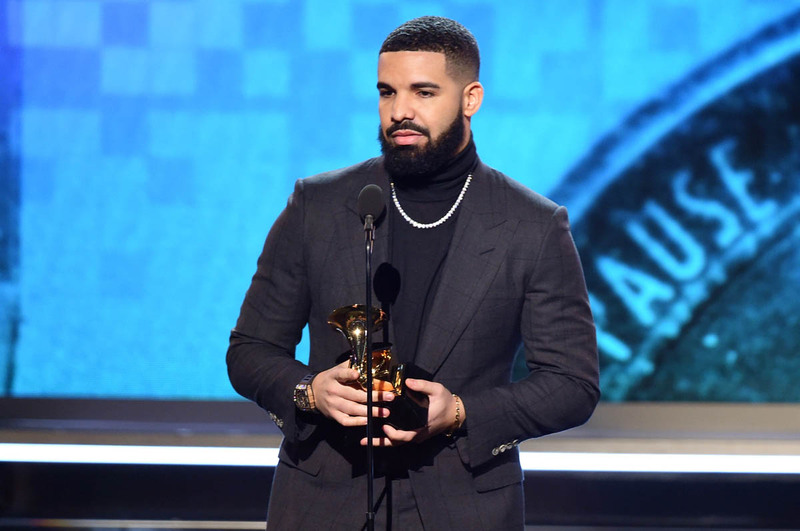 Drake’s history with the Grammys has been tepid at best. He did not submit More Life for consideration. In 2017, he didn’t show up to the ceremony to collect his two awards, again both for rap categories. Here’s what he said then about his Grammys. We’ve written about this in the past in reference to Jay-Z and Beyoncé, two living legends, two artists who put out two of the greatest albums of the past decade. Jay and Bey are constantly relegated to the “urban” categories. They didn’t show up to this year’s Grammys but they did win Best Urban Contemporary Album for Everything is Love. 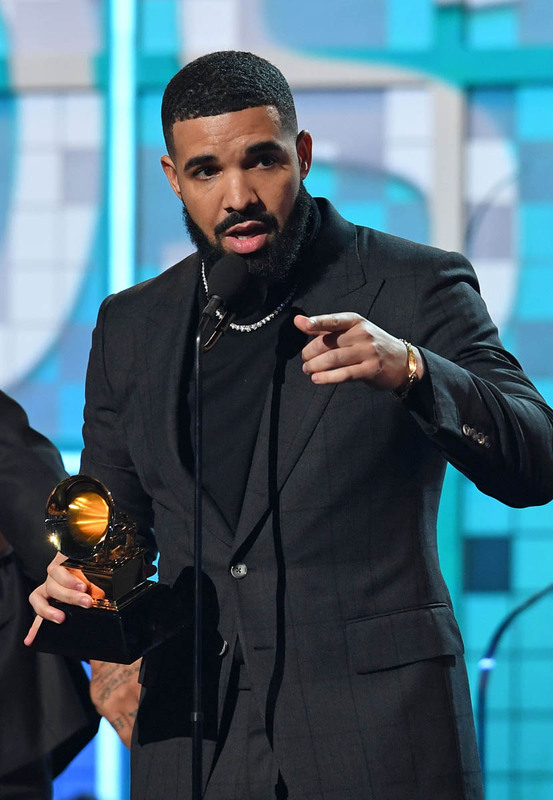 Drake has called out the Grammys in the past for their blatant disrespect of a genre that has kept the music industry afloat for years and their lack of reverence for a genre they use to make their show more entertaining through performances but rarely through awards. Cut to last night. 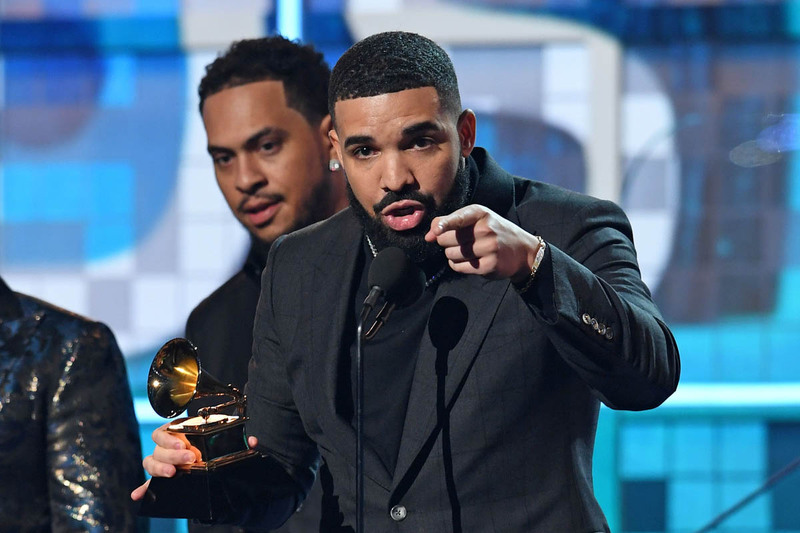 Drake accepts his award and calls the Grammys out to their face. I didn’t know how to interpret that line at first. It was Lainey who suggested Drake was calling out the show for constantly relegating him to the Rap column. Then, I revisited his statement above. “The only category they can manage to fit me in is a rap category.” So, what he’s sarcastically getting at is that with this song – an ACTUAL rap song – it’s the first time the Grammys gave him recognition for “who [he] thought [he] was.” That was his first jab. His next swings were more deliberate. They landed, without any need for interpretation. “All my peers that make music from their heart that do things pure and tell the truth, I wanna let you know we're playing in an opinion-based sport, not a factual-based sport. So, it's not the NBA where at the end of the year you're holding a trophy because you made the right decisions or won the games... This is a business where sometimes it's up to a bunch of people who might not understand what a mixed race kid from Canada has to say or a fly Spanish girl from New York or anybody else… But my point is you've already won if you have people singing your songs word for word, if you're a hero in your hometown. Look, if there's people who have regular jobs who are coming out in the rain, in the snow, spending their hard-earned money to buy tickets to come to your shows, you don't need this right here. I promise you, you already won." Drake tries to say more but before he can throw another punch, the Grammys cut to commercial. The producers may try to say it wasn’t deliberate but up until that point in the show, the other winners were not cut off as abruptly. And you can’t ignore that just as Drake was reading the Grammys, it was conveniently time for a commercial break. Listen, Drake could have sat out the show altogether, like he’s done before and like Childish Gambino did last night, and Frank Ocean has done before them. No, he showed up with something to say. Drake turned down performing at the Grammys this year, as did Kendrick Lamar and Childish. 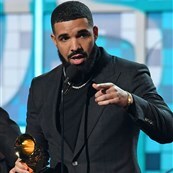 Hip-hop artists seem to be fed up with the Recording Academy’s bullsh-t. I’m glad that Drake showed up to say his piece. I’m glad he stood up for a genre that he currently dominates. If the charts are any indication, Drake is the most relevant artist of today. He’s been criticized in the past for not using his platform to say anything substantial. Last night, Drake stepped up and dropped the mic. FINALLY. If I’m being picky, I just wish he had really gone for the jugular. 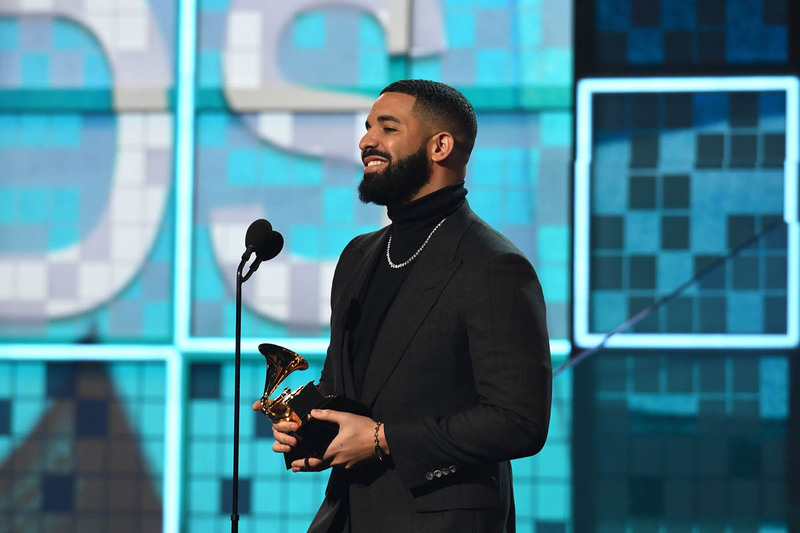 If Drake was trying to say that the Grammys don’t care about black artists, I almost wish he had just said it – with gusto. In his own words, he said the Grammys weren’t relevant. He told his peers that these awards don’t matter and that they shouldn’t be looking to this show to validate them. He’s right. He shouted out Travis Scott and Cardi B, two black artists who put out two of the most pertinent albums of the year but were still pushed into their lanes of Rap or “Urban.” (Cardi was nominated for Album of the Year but didn’t win.) If Drake had been given more time to talk, maybe he would have called these injustices out by name. But instead of letting the man have his moment, the Grammys silenced him like they’ve been doing to the biggest artists in pop culture for years. Sounds like a real solid strategy in staying relevant. The Grammys cut off DRAKE. This is the Grammys. It’s poetic that Childish Gambino’s song about racial injustice in America is the first rap song to break the Grammys’ shutout of the genre. The song is telling America about itself. 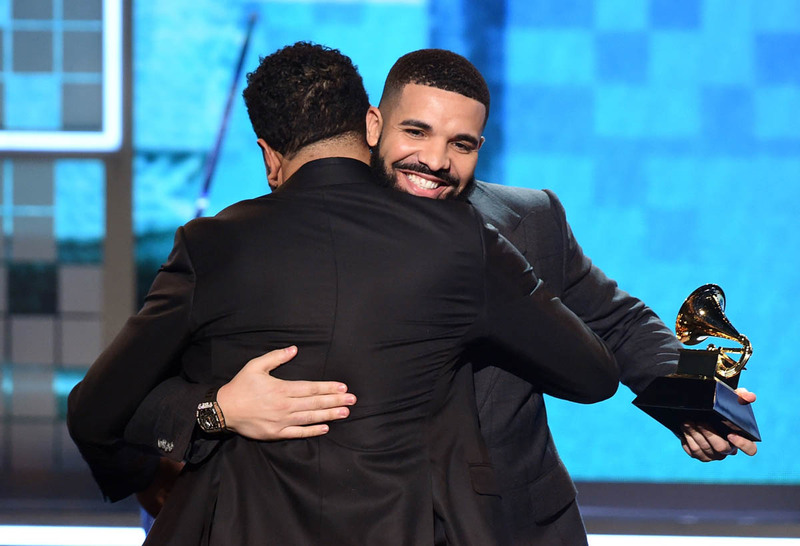 It won two of the Big Four awards on a night that Drake told the show about itself. It may be my favourite thing Drake has ever done. I’ll leave you with Hannah Giorgis for The Atlantic breaking down what Drake’s chess move says for the future of this flailing show. 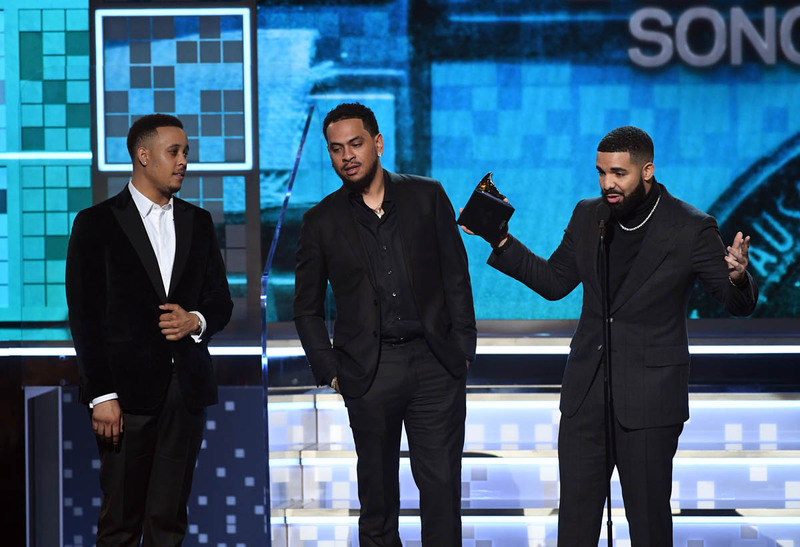 If Drake, that goofy and algorithm-friendly genre-bender of a rapper, is no longer willing to feign appreciation for the award, then who in hip-hop will care about its future?